If you’re a Spotify Premium user with an Apple Watch, you’re well aware of a big glaring omission as far as watchOS apps are concerned. Indeed, we’re approaching two years since the Apple Watch arrived in stores, and there’s still no official Spotify app for watchOS. Developer and second year undergrad CS student, Andrew Chang, is aiming to lessen the void when he releases Spotty — a currently-in-beta, free third-party app that will allow Spotify Premium users to sync playlists and albums for offline playback. 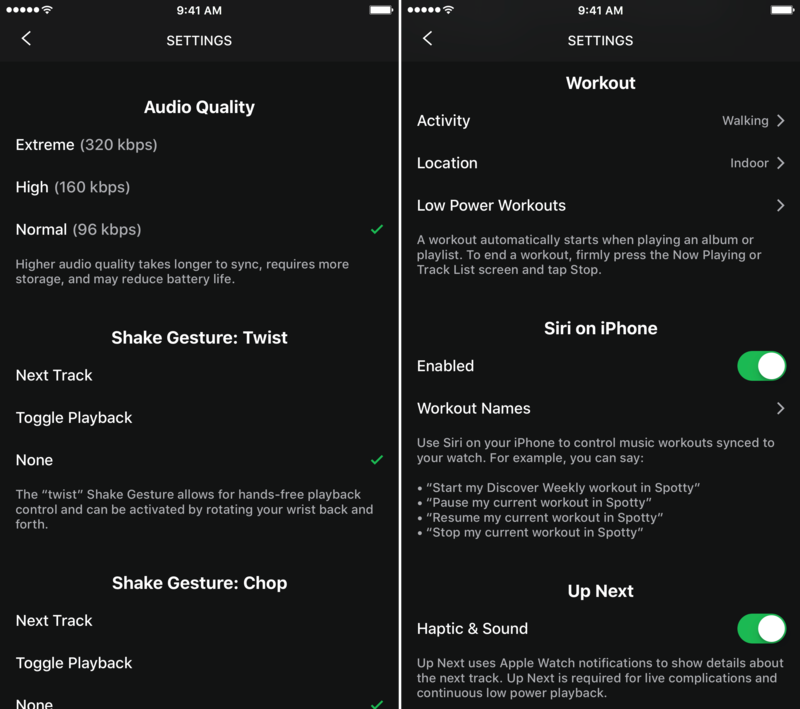 That’s right; the app’s offline mode lends users the option of leaving their iPhones at home or in the car while engaged in Spotify-powered music workouts. Spotty is a super-impressive app that works with all models of Apple Watch. Watch our hands-on video walkthrough as I take the app for a test drive. Once you download Spotty to your paired iPhone and install the Apple Watch app, you’ll need to launch the iPhone app and give permission to use your Spotify Premium account. After permission is granted, all of your playlists and albums will show up within Spotty’s interface. You can choose to sync playlists or albums added to your Spotify library, or any combination of the two. All songs within a playlist or album will be synced and can be done so by flipping the Syncing with watch switch in the upper right-hand corner of Spotty’s interface. Syncing is essentially a two-part process. Once you flip the sync switch, the songs in the album or playlist are cached and processed by Spotty. After a song is processed, it’ll transfer via Bluetooth to your Apple Watch. At the end of the syncing process, you’ll be instructed to launch the Spotty Apple Watch app to confirm that all of the tracks made it over successfully. Similar to Spotify’s offline tracks, Spotty requires a valid Spotify Premium login at least every 30 days to keep synced playlists on the watch. 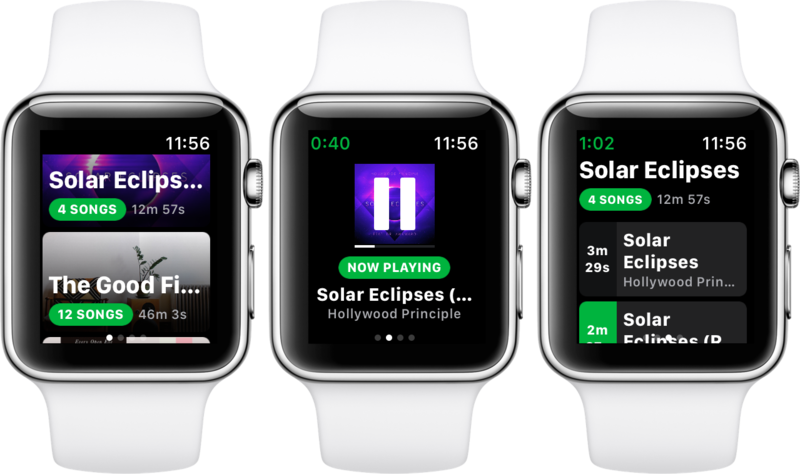 Unlike Apple Music syncing, however, Spotty doesn’t require that you charge your Apple Watch in order to make syncing work; that means that it’s totally possible to sync a playlist or album while on the go. If you peruse the app’s settings, you’ll find that Spotty features the ability to sync normal, high, or extreme quality music. You should expect higher bitrate music to take a longer time to transfer to your Apple Watch via Bluetooth. After syncing is completed, you can pop your Apple Watch into offline mode via a switch within the Spotty app. This allows you to listen to all of your synced music offline, without an iPhone in the vicinity. Spotty allows you to play back music via your favorite Bluetooth headphones, but you can even output songs via the built-in Apple Watch speaker. That’s obviously not the most ideal method of playback if you care about audio fidelity, but I was quite surprised by how capable the little speaker on my Apple Watch Series 0 model proved to be. Spotty features three essential playback modes. There’s tethered mode, which lets you use your Apple Watch as a Spotty remote control for your iPhone. Tethered mode will provide users with the highest amount (all day) of battery life during usage. The second mode, offline low power mode allows you to play synced music independently of an iPhone, but it uses the system audio player and disables gesture controls. Users can expect around 6 and a half hours of battery life using this mode. 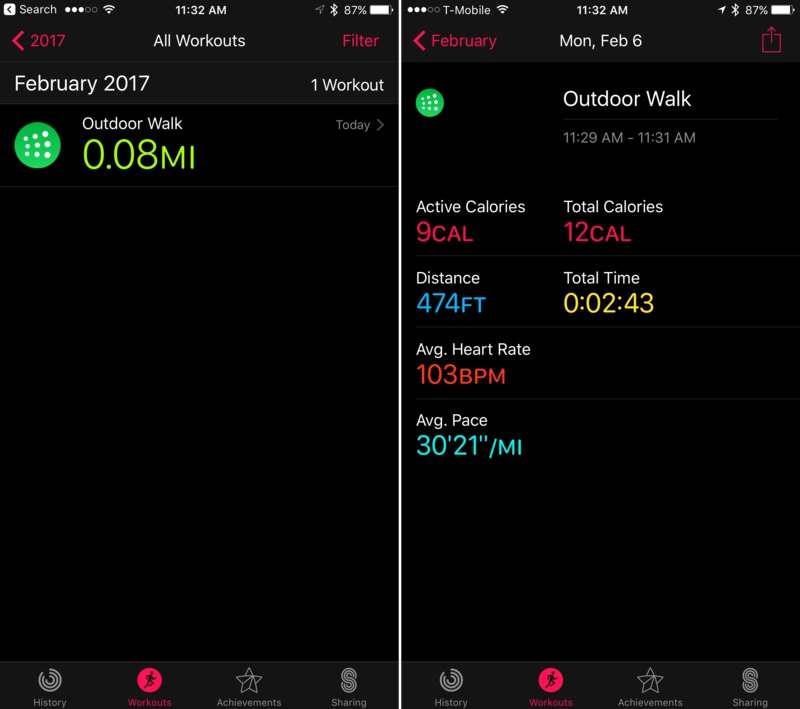 Finally there’s offline workout mode, where Spotty handles all audio, gestures are enabled, and workouts are automatically tracked. This mode promises up to 3 hours of battery life from a full charge, which is adequate enough for most workouts. By tapping the settings button in the upper right-hand corner of the Spotty app, you’ll find several options that can be configured to your personal liking. Although syncing music defaults to normal quality settings, which will afford faster transfer rates to your Apple Watch, users have the option of switching to increased bitrate high or extreme quality audio. Users can select the type of workout that they are participating in, which will cause this workout type to be properly logged to the Health app. When using offline workout mode, there are handsfree gestures that allow you to control music playback — skipping tracks, playing and pausing music — by simply flicking your wrist. These settings can be configured from the app’s preferences. Spotty even lets you start workouts via Siri on iPhone by simply asking Siri to start your workout in Spotty. You can then leave your iPhone at home, and head out for your workout. Spotty is still in beta, so the experience is not yet perfect. That’s to be expected from an app that’s in beta, and Chang is actively working on addressing the remaining issues with the app before it launches in about a week. In fact, since I’ve started testing the beta just last week, I’ve received several major updates that have significantly improved the overall functionality of the app. To be honest, I wasn’t exactly sure what to expect when I first saw Spotty, but needless to say I’ve been thoroughly impressed by the app and the amount of polish that it already has. I think that Spotify Premium users are going enjoy this. Here’s hoping that the Stockholm, Sweden-based Spotify Technology S.A. will be receptive to the existence of Spotty. It’s a great app that will only get better based on what I’ve seen thus far. Again, Spotty will be free of charge once it launches. If you wish to show your appreciation, the developer has set up a charity donation for The Harmony Project. You can read more about that, along with a full FAQ on Spotty’s official website.